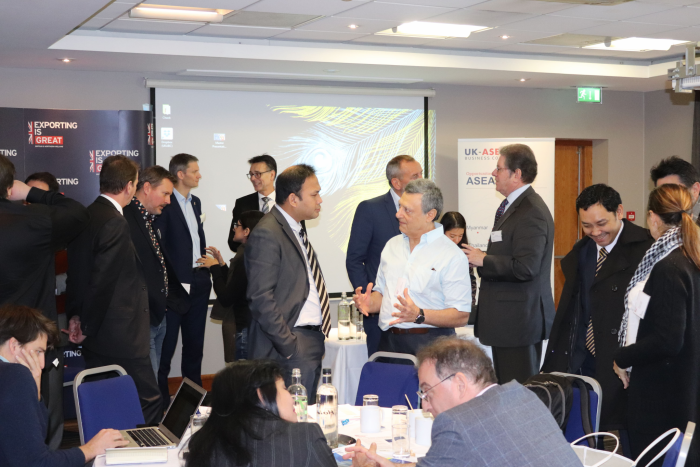 The Action Asia roundtable brought together over 50 exporters with an interest in doing business in one of the most exciting parts of the world – Southeast Asia! 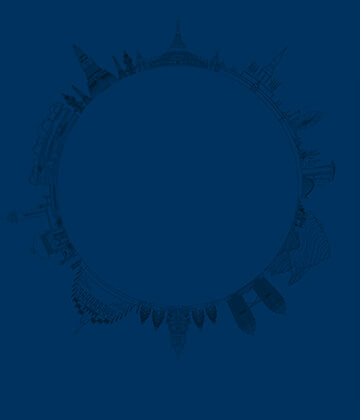 Did you know that the UK invests more into ASEAN China and India combined?! Guests at this day-long event learnt about the opportunities in the region from trade experts, trade attachés, entrepreneurs and business figures who have done well, and also not so well but learnt from their experiences. 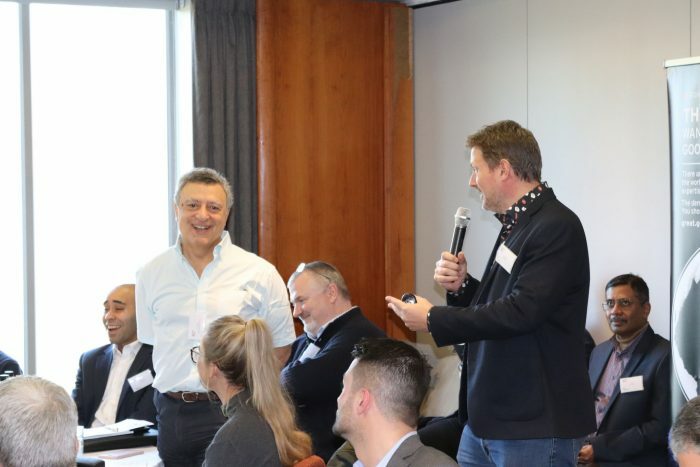 The free-flowing interactive format allowed for many questions and comments that created an engaging day of learning how to do business in Southeast Asia. 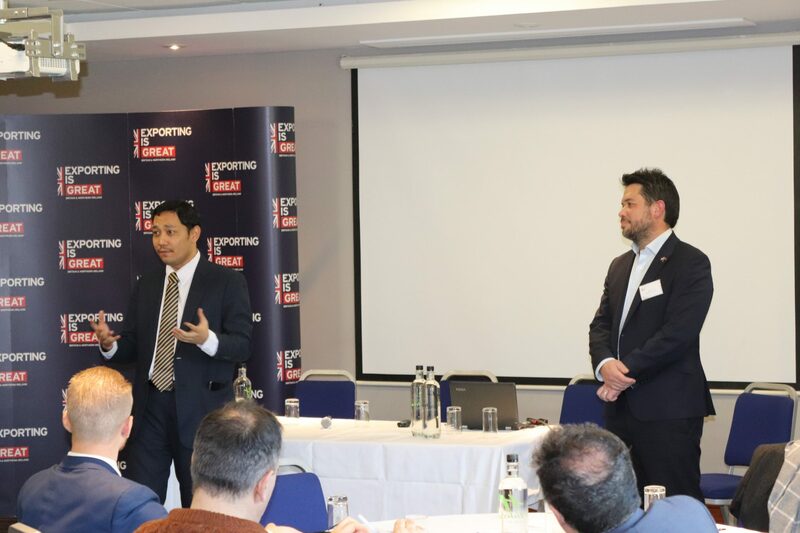 The day was co-organised by UK-ASEAN Business Council and our partners for the event – the Department for International Trade (DIT) and European Regional Development Fund (ERDF). DIT’s services are provided in over 100 markets throughout the world, and they are passionate about what they do. That’s why they constantly review their services in light of customer feedback and the impact they offer, which means they’ll vary from time to time. 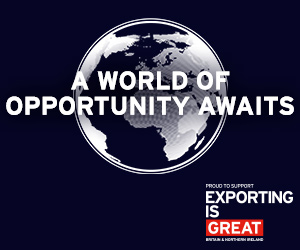 Their website (great.gov.uk) has tailored support and advice for businesses on how to start exporting or increase the number of goods and services they sell overseas. The ERDF is a fund allocated by the European Union. Its purpose is to transfer money from richer regions (not countries) and invest it in the infrastructure and services of developing regions. This will allow those regions to start attracting private sector investments and create jobs on their own. Introductions to the full day of guest presentations and panel discussions on 30th January at London Gatwick’s Holiday Inn conference rooms came from Rob Lewtas – Strategic Partner Manager, South East Region, Department for International Trade and Ross Hunter – Executive Director, UK-ASEAN Business Council. 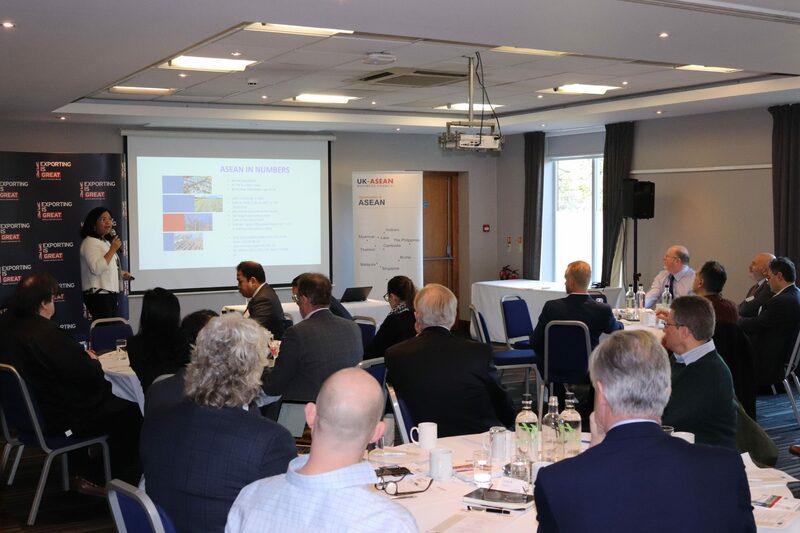 The first presentation of the day came from Michelle Sanchez – Commercial Counsellor and Director, Philippine Trade and Investment Centre on Fantastic Philippines and the staggering economic prospects from one of ASEAN’s most promising member states. In session 1, the participants learnt that of 2018, the Philippines was among the fastest growing economies in the whole of Asia with 6.3% GDP growth; the highest in the entire ASEAN region (with 6.2% growth for 2018 in total). Michelle explained some of the biggest opportunities in the Philippines right now include Manufacturing, Infrastructure, Energy, Agribusiness, the Creative Industries, Tourism and IT/Business Process Management. Indonesia is regarded as a launchpad to the entire ASEAN region being the world’s fourth most populous nation, the largest economy in Southeast Asia with GDP of around $1 trillion and abundant natural resources ready to propel the nation’s infrastructure into new heights of growth. Vitto explained that opportunities extend beyond its large domestic market, as Indonesia is part of the ASEAN Free Trade Agreement (FTA), has free trade zones with Australia, New Zealand, China, India, South Korea and Japan, and due to its size of the middle class and high domestic consumption, is more resilient from regional economic shocks and downturns. Lastly, it’s also part of the Regional Comprehensive Economic Partnership (RCEP) and the country’s economic performance is further bolstered by its current deregulation policy, streamlining licensing and further efficient international trade and foreign direct investment. After a morning break, the presentations moved onto two British Success Stories in ASEAN, the first of which was skilfully presented by Pete Jenkins – Founder, Gamification+. Making a point to focus on opportunities that support the brand strategy, for example only profitable priced projects with high-quality customers with a positive residual impact on the profile of the company in the region. The second of the British success stories in the region came from Chris Bishop – Sales Director APAC Region, Ipsotek. Trust – believe in someone or something that is reliable, good, honest, effective. After another networking break across lunchtime, the next presentation came from Allen Lai – Director-Partnerships and Programmes, UK-ASEAN Business Council who explained the intrinsic values behind the cultural dynamics throughout the diverse markets of ASEAN. The importance of getting to know your contacts and clients in the region beyond the workplace – for example, their sporting interests, favourite foods and sharing stories of travel and personal time spent in the region. The following presentation was focussed on export funding support with Jeff Clark, International and Working Capital Director, Santander and Tim Stuart-Prince, Group Wholesale Banking, United Overseas Banking. Santander’s presentation informed the SME audience of the benefits with statistics and insights provided by the bank’s trade portal, including lots of useful information like country reports, finding potential customers for your products and services, discovering who the biggest importers of your products and services are in ASEAN and essential information on duties and import regulations when exporting to new markets. More information on Santander’s trade portal can be found here. Next up, Tim Stuart-Prince, from Santander’s alliance banking partner – United Overseas Bank (UOB) spoke on the established bank franchise with its strong regional footprint across ASEAN and the services it can offer UK companies looking to develop their regional exports. 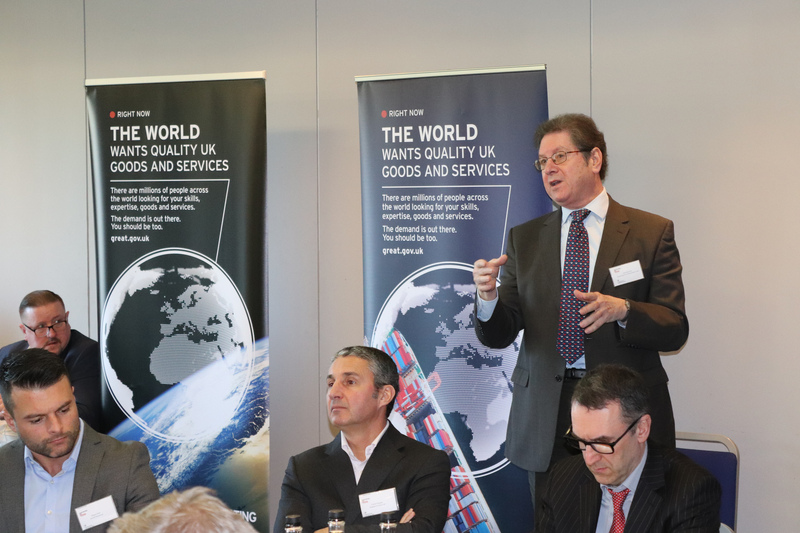 After this, we heard from Wedad Kurukgy and Lisa Maddison-Brown, Export Finance Managers from UK Export Finance on UKEF’s mission is to ensure that no viable UK export fails for lack of finance or insurance from the private sector. They work with colleagues in DIT, HMT and other departments in the UK and overseas to support HM Government’s export aspirations. Next was a presentation on how to protect your intellectual property in ASEAN from Nick Baker – Director, IPR SME Helpdesk, whereby he clarified what constitutes intellectual property, things you must watch out for with regards to law and contracts and why patenting or copywriting in one country does not automatically assume the same rights in other states. Lastly, to end the day, UK-ASEAN Business Council and the British Chamber of Commerce Indonesia presented their insights and advice on finding your customers in ASEAN. In-country services such as hot desking, meeting rooms, transportation and translation. The event ended with a networking reception which allowed the participants to discuss further ideas with each other and with the speakers. 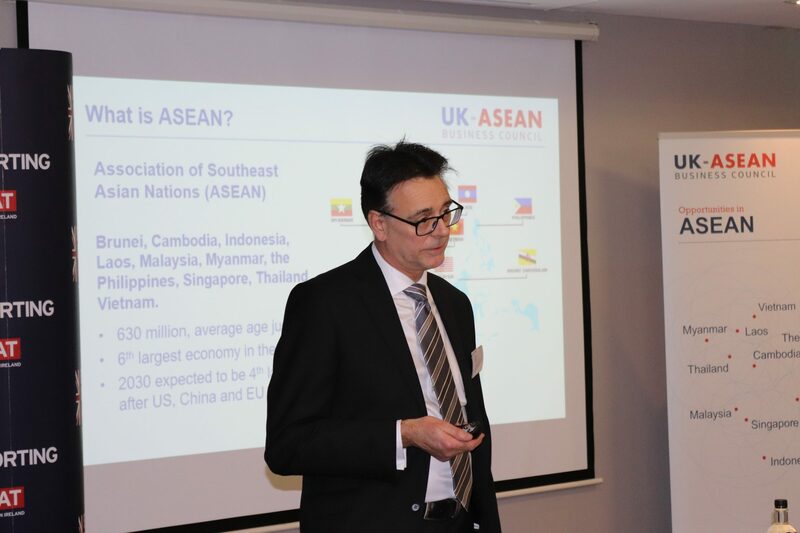 To discuss some of the matters mentioned at Action Asia further, please email our ASEAN Export Specialist, Paul North on paul.north@ukabc.org.uk.